So where has this all come from? Originally back when the GAA launched their new identity they also created templates as to how best present the new look at Club and County level. As designers we were big fans of the new logo and how it represented the GAA especially when the Association came under the spotlight with the opening up of Croke Park to a wider audience, rugby, soccer and rock fans. We are very proud of our games and the Association but after a lot of research we found that online in particular there was quite a gulf between some excellent sites to basically non existent. At LD2 we took it upon ourselves to make our home County website, best in class in terms of adopting the GAA brand guidelines and also integrating the servasport fixtures and results system. This work started back in 2008 and led us on to working with Ulster GAA and also into Munster and Croke Park. We realised that in order to effectively communicate with the GAA audience you have to work directly into the County and the Club. Ulster GAA is a very progressive Province and the marketing team were willing to take the initial steps in part funding the development work on County websites in return for carrying advertising in the run up to key events and matches. This has proved very successful and cost effective for both the Counties and Ulster GAA and it is now our aim to expand the concept wider within Ulster Counties and Clubs. 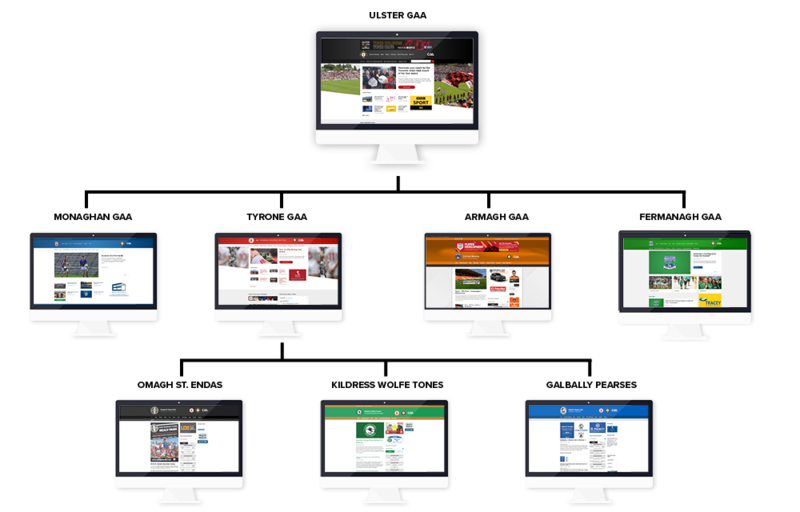 What we have developed is a fully mobile responsive template built around the needs of the Clubs and Counties in Ulster and beyond. Created using WordPress, the template accurately reflects how the GAA brand should look to an outside audience. It provides clubs and Counties with all the functionality they need from up to date fixtures & results, latest news, key static club info and integration with social media. The Club & County system is maintained by a team of designers with decades of experience in the GAA. We’re passionate about what we do and this can be seen in the quality of our work. This was created by GAA fans and Ulster GAA, mostly on a pro bono basis, because we genuinely felt that this is an essential tool, if not lifeline for GAA Clubs and Counties. Any one effectively using the template see it as a critical part of communicating with its members and also a potential source of income. the template can now be purchased by any Club, County or Province within the GAA.